In a press release sent just now, Sony has announced a slew of new Ps4 peripherals. which includes the slightly revamped DualShock 4 that’s available in the PS4 Slim that we reported on last month. The other peripherals listed are a new PlayStation Camera, new Vertical Stand, and a new Platinum Headset. 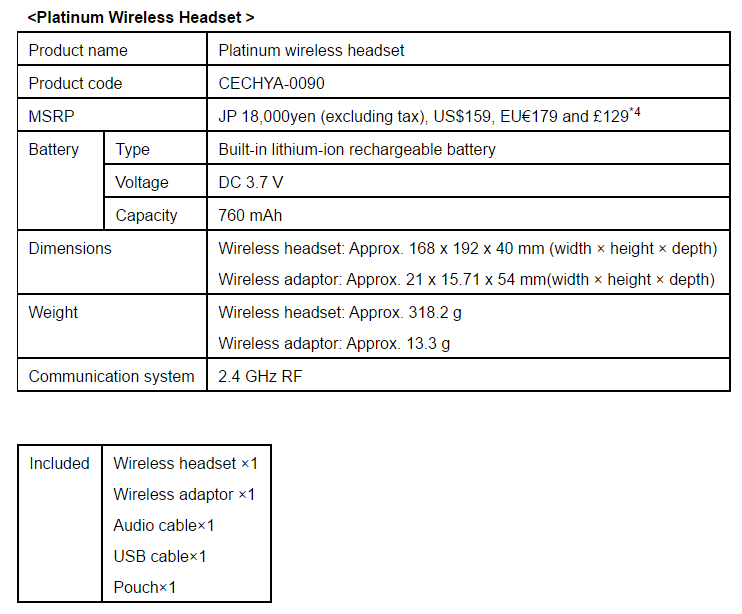 Official specs and details from the press release can be seen below. 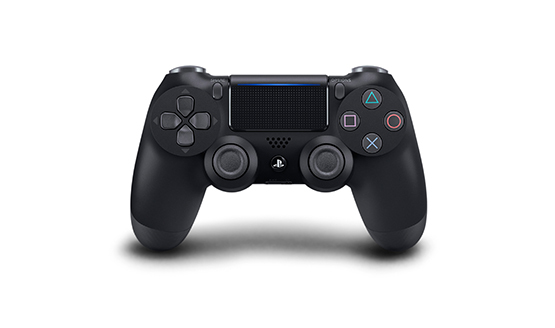 The new Wireless Controller for PS4 (DUALSHOCK®4) allows the light from the light bar to emit on the touch pad, making a new luminous line in the same color as that of the light bar. This provides gamers with visual information, such as which character they control or health status, at a glance for more intuitive gameplay. Furthermore, the new DUALSHOCK®4 supports USB communication*3in addition to the currently available Bluethooth® communication, allowing users to have control also via cable. The new DUALSHOCK®4 wireless controller will be available at a manufacturer’s suggested retail price (MSRP) of 5,980 yen, $59 USD, €59 and £54*4. The redesigned PlayStation®Camera (PS Camera)*3 inherits all the features available on the current model, including PlayStation VR (PS VR) support*5, and features a new compact cylindrical form. PS Camera includes a stand allowing users to easily adjust the angle of the PS Camera and set it up in their preferred location, such as on top of their TV or entertainment center. The new PS Camera will be available at a MSRP of 5,980 yen, $59 USD, €59 and £54*4. Official images of each new peripheral can be seen in the gallery below. If the PS4 Pro didn’t catch your eye, do these new peripherals do the trick? While I don’t use the Vertical Stand or find any need for it, the new one looks kind of neat, I admit.